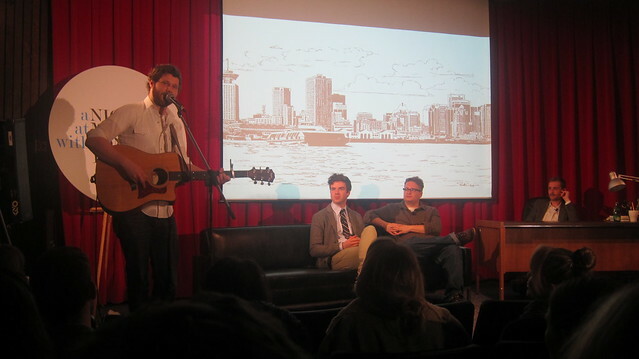 A Night at MOV (Museum of Vancouver) with Conor Holler, featuring comedian Charles Demers, CBC Radio 3 host Grant Lawrence, musical guest Dan Mangan, and sidekick Craig Anderson on May 28, 2010. 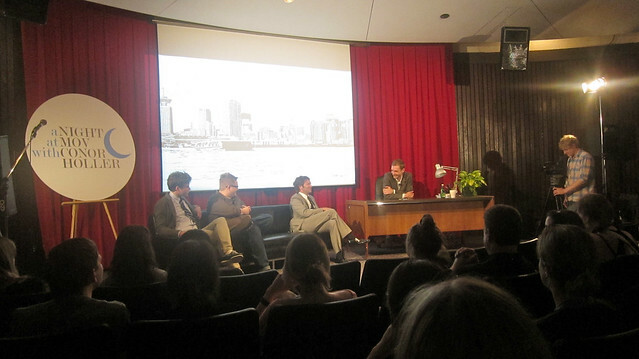 As a part of my effort to break into the Vancouver arts and culture scene as a reporter and journalist, I attended the first (and hopefully not last) edition of the "A Night at MOV with Conor Holler" live talk show at the Museum of Vancouver. 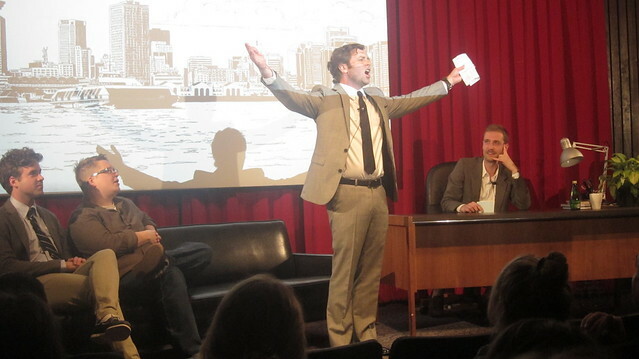 The show, organized by Vancouver Is Awesome and the local Vancouver arts community, aimed to revive a past era of old-fashioned comedy and entertainment in talk show form. Not knowing what to expect or what the night would entail, I was pleasantly surprised. The night kicked off in traditional talk show fashion with host Conor Holler (the mustached wonder) and his aggressive monologue. At first, I thought it was a spastic barrage of wacky humour and jokes, but once I got into the rhythm of Holler's high energy, physical comedy and karate chops, I was on board along with the enthusiastic crowd. 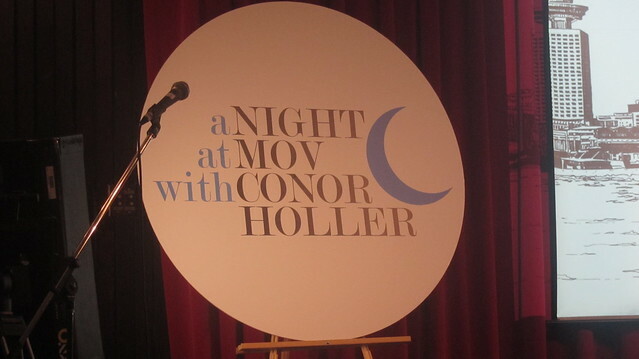 Holler proved to be a very engaging host lampooning the artificiality of the talk show genre. His sidekick Craig Anderson provided great encouragement and complimentary humour, especially with his delightfully awkward video interview with Holler's parents. The night's first guest was author Charles Demers who had the line of the night referring to CBC Vancouver news anchors Tony Parsons and Gloria Macarenko, "They have less chemistry than an inner city school." 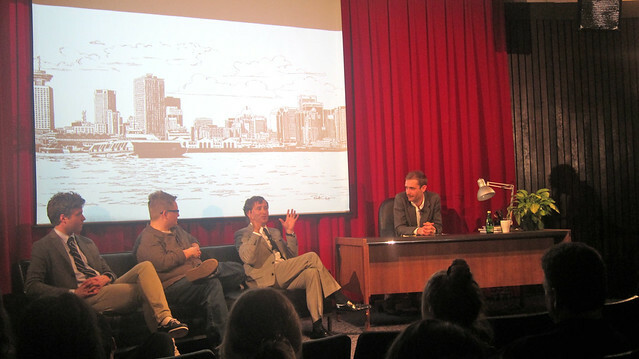 Demers provided some great comedic insight into Vancouver's cultural landscape. 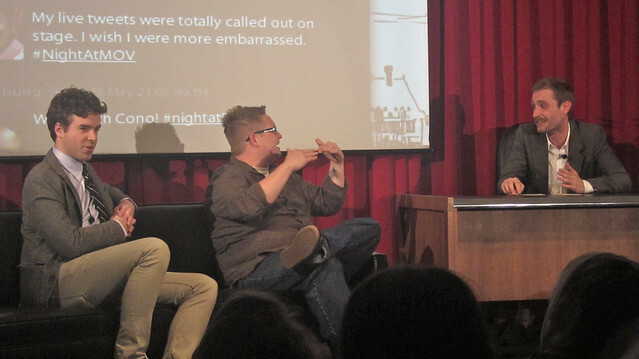 The crew even incorporated and integrated live tweets into the show. 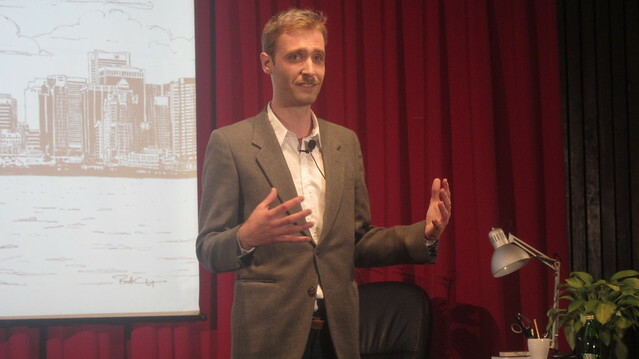 I was only slightly embarrassed to see my comedic tweets displayed on stage. A lot of young, upper class, affluent white people here at @Museumofvan's #NightAtMOV for @viawesome. The other guest, Grant Lawrence who is use to being the one hosting, definitely stole the show with his love and admiration for classic television doing a good send up of the genre, including his best Johnny Carson/Carnac the Magnificent impression. Holler throughout his supposed interview with Lawrence threw up his hands and declared that his show had been taken over as Lawrence dominated his segment with a lot of comedic flare and charm and Holler playing along. I had no idea Lawrence loved late night talk shows as much as I do. Lawrence, for the most part, played the talk show guest straight even when "throwing to a clip" in classic talk show fashion of him dancing ridiculously in hot pants, throwing back shots, and being flat out hilarious. Lawrence also did an entertaining rendition of the Diff'rent Strokes theme song in honour of Gary Coleman's passing. Singer Dan Mangan provided some casual acoustic guitar musical interludes, charming the crowd with his witty banter and cool demeanor. 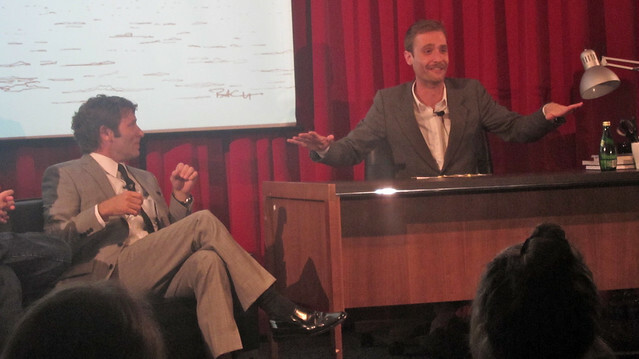 Mangan as musical guest was a nice touch and really added to the recreation and feeling of a live talk show setting a relaxing mood and atmosphere. Last night was definitely a great night of Vancouver comedy and entertainment with good use of video, music, and audience interaction. Everyone involved pulled together a seamless, engaging show with plenty of highlights, albeit with maybe one too many Waterworld references.